This gorgeous pink sapphire engagement ring is handcrafted from 14k gold and has a white gold setting, enhanced with Trinity knots which traditionally represent the Father, the Son and the Holy Ghost. 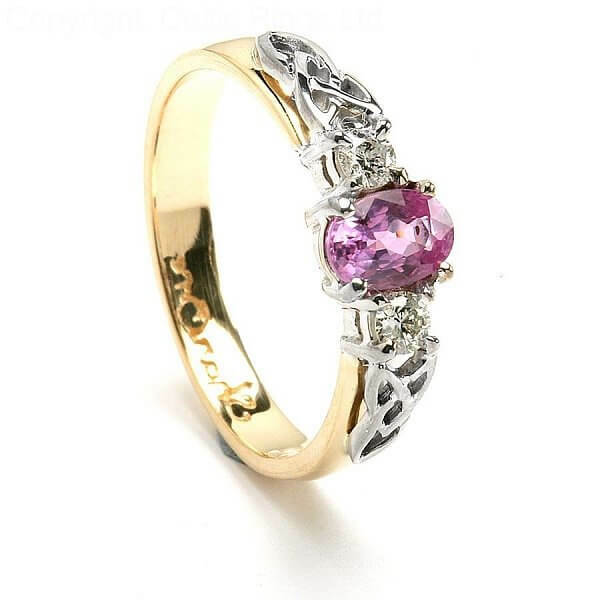 The center stone is a beautiful 0.50 carat oval cut pink sapphire, with a sparkling diamond on either side. As with all our rings, it will show the hallmark of the Dublin Assay Office inside the band. 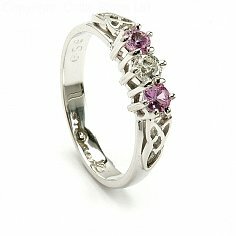 All gemstones sold by Celtic Rings Ltd are conflict-free.